Chinese tones, grammar, pronunciation, Hanyu Pinyin, Characters - Hanzi 汉字(漢字), developing a good vocabulary and even whether or not you should have a Chinese name - and if so, what TYPE of Chinese name should it be … ? 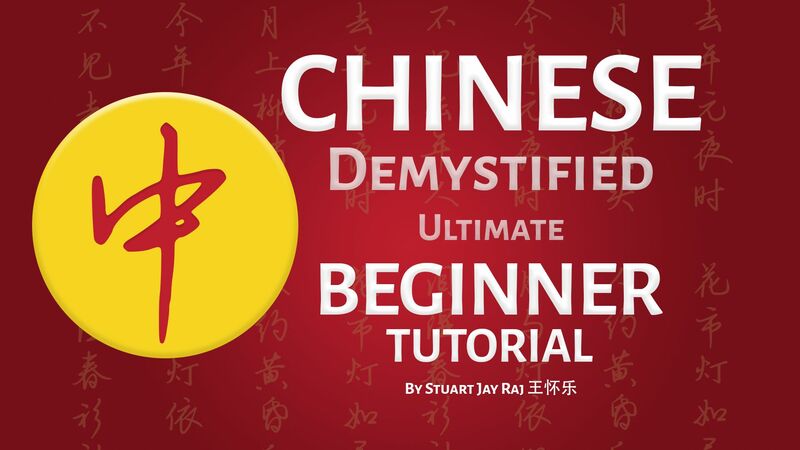 In this 90 min tutorial, I have tried to cut through many of the Myths and present the core elements of what you will need to learn Chinese to a level that you can be proud of. How hard is it REALLY to learn Chinese? Mandarin? Cantonese? Taiwanese? Teochew? There is a lot of information out there that will tell you all different things about the Chinese language. If you’re thinking of learning, or even if you’ve been learning for a while now, I have covered as much ground as I could in this 90 min webinar to not only provide you some answers, but also give you some tools to put it into practice even as you watch. You’re going to need to bookmark this video and come back to it often. By the end of the webinar, you would have a good idea of grammar, the Chinese tone system - not only for Mandarin, but for any Chinese language / dialect, which means you can use the same system for Cantonese 粤语, Hokkien 福建话, Teochew 潮州话, Taiwanese / Southern Min 闽南话 and many other dialects. The same system can also be tweaked for learning the Thai language ภาษาไทย, Vietnamese tiếng Việt, Burmese and other tonal languages in the region.